Once again it is worth remembering the authenticity of Oscar Niemeyer. 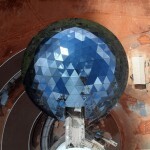 The genius calls the project “Flor do Cerrado”, which is a new monument designed for the digital broadcasting of the entire Federal District. The cylindrical concrete base represents the “stem” of the flower and the glass domes represent the “petals”. The tower is 180 feet tall and each of the glass domes are 21m in diameter. 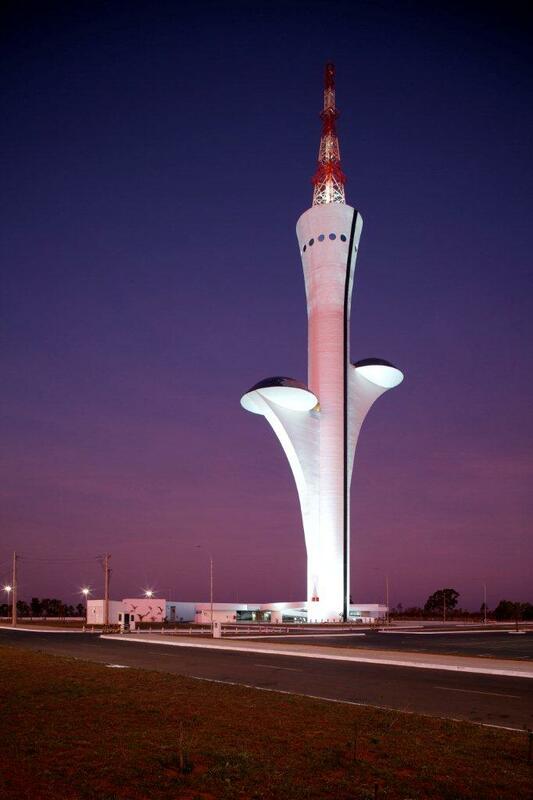 The tower was designed and implemented by Avec Design. The first dome, 60m high, is an exhibition space (where the model of the city is exposed) and the second, 80 meters from the ground, is a bar and restaurant. There are observatories near the top of concrete, 120m high, with 14 round windows that are 2m in diameter each. The solar control selective glass used in this project is a 10mm SKN laminated gray glass with PVB, reducing 2/3 of the heat input, totaling 1.900m ² of glass. The tower was opened on April 21 in 2012, for the city’s anniversary. 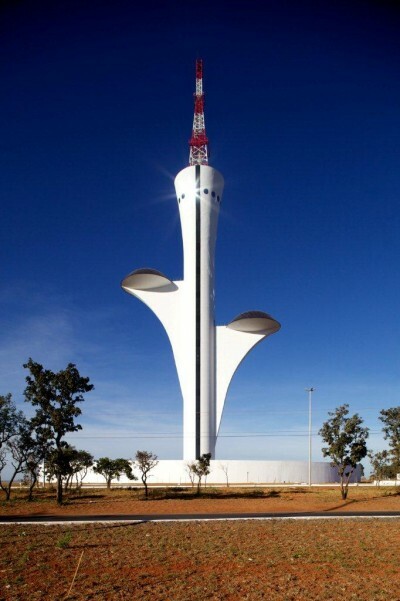 Recently the tower has become one of the tourist attractions and landmarks representing Brazilian engineering. There are no doubts that this project closed Niemeyer’s career with a bang, since it was Niemeyer’s last project completed during his lifetime.